Another case of "If it tastes good drink it." Why must we get so caught up in the "Is it a pale, an IPA, or a DIPA" conversation? Call it whatever the brewmaster says it is and enjoy! 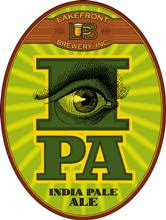 "I'm liking IPAs that are drinkable, not insane. "2 words, Goose Island.Carry on. I agree with the idea that the beer is whatever the brewer wants to call it. There have always been variations on every "style", since long before beer drinkers started getting hung up on trying to categorize everything, and putting every miniscule variation into a new category. Michael Jackson, Jim Robertson, and other earlier beer journalists had the right idea 30+ years ago, in that they approached the idea of "styles" in very broad terms as a helpful point of reference when discussing beer. They were certainly much more sensible about it than the new beer geeks who love to toss around that dreaded and now cliche phrase: "not to style". I agree with Lew that we should look beyond "reviews" and tasting notes. The brewing process ends at the taste buds, and every single set will assess the result differently. How do you expect to be taken seriously as a beer writer if you can't brag about a two-parts-per-trillion diacetyl threshold??? I guess that's why I enjoy Lew's writings on beer. He comes across as the average beer drinker like myself, except that he's thousands of different beers down the road than I.
I just had the good fortune to try the Red Chair IPA on tap. Your comparison to a quality Irish whiskey is right on, not because they taste similar, but because of how smooth and delicious they both are. I loved having an IPA that doesn't conform to the current trend of high alcohol and 70+ IBUs. Not that I don't love those, too. I'm of the opinion it's not an IPA until it takes a 5 month boat ride. Before that it is an overhopped ale. But that is just me, a malt head at heart.